Alpinestars released the waterproof Scout boot in 2009 for the dual sport community. I bought a pair in 2010 and have used them for 4 years now. Here’s my review. 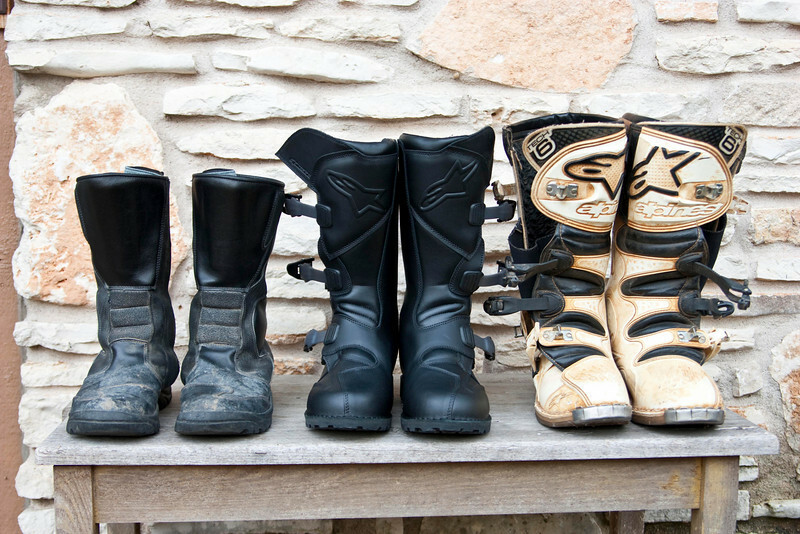 The Alpinestars Scout boot (center) compared to a Joe Rocket boot (left) and Alpinestars Tech 6 motocross boot (right).